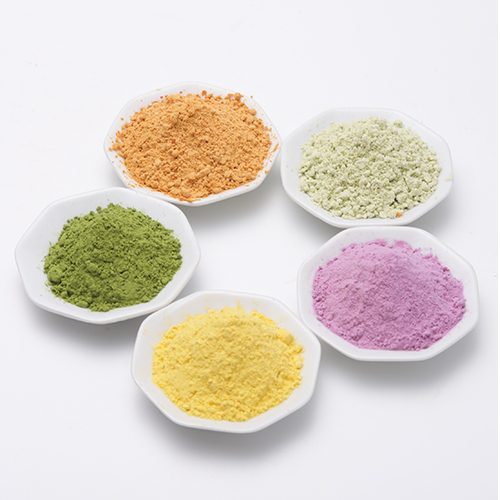 The additive-free vegetables powder using vegetables from Oita! 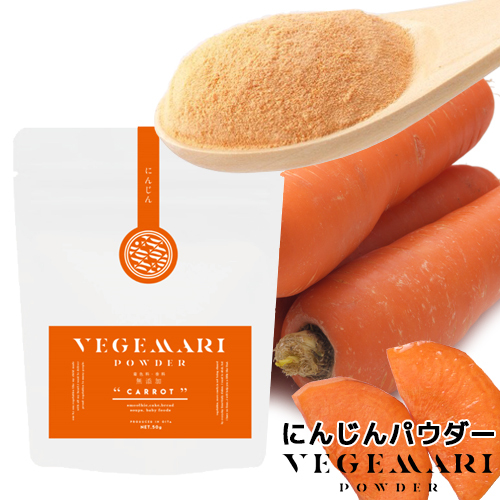 It is the additive-free vegetables powder only using a carrot from Oita. 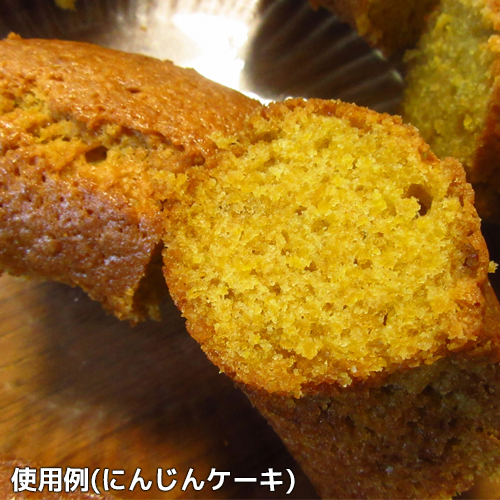 I lay in stock of a carrot from Oita at fresh time (the highest time of the nutritive value) and process it immediately. When I processed it, it was said to be the cause that lost a color, a flavor, the nutritive value of vegetables to add high heat, but the powder of this VEGIMARI controlled what I heated at a high temperature by using a low temperature drying, water cooling stone mill-type crusher to a minimum. As a result, I was able to leave a color, a flavor, nutritive value. With two cups of teaspoons (approximately 5 g), I deserve a carrot small one (50 g) share. The feature of this carrot powder is that quantity of vitamin A in particular and quantity of dietary fiber are abundant. Vitamin A (β-carotene) is said to have a function of to keep drying and skin, a mucous membrane at health skin. 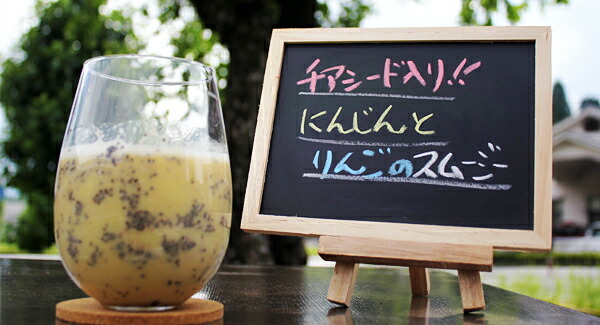 Vitamin A has the intake upper limit, but we usually do not have to worry about the surplus intake as I take in the carrot powder as β ーcarotene ". It is available to baby food and care food. I only stir it until how to make puts the materials mentioned above in the mixer or the food processor and gets smooth. 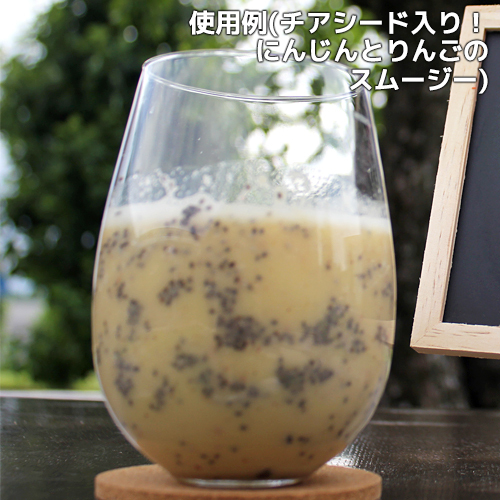 I can consume 45% of daily vitamin A recommendation quantity (※) with this one cup of smoothie. 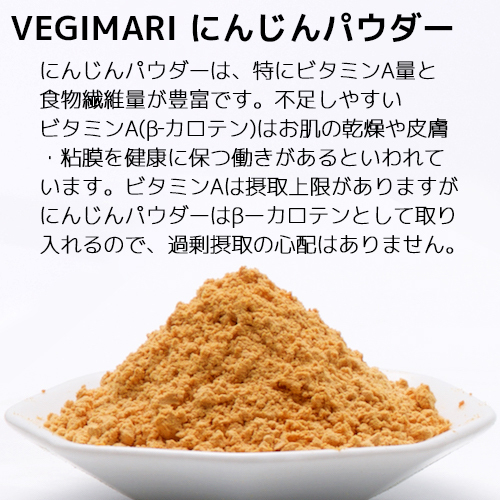 I read "VEGEMARI" of the brand name with "VEGEMAEI". "VEGE" is "vegetable = vegetable" according to the imagination. Two meanings are hidden from "Mali". One is "ball". TEMARI( ball ). Continuing passing the rule of the ball play. It is a defeat if I lose it in the ground. In other words, the one that took this product in a hand wants you to pass it toward the friend, the parents, the child, the relative, a lot of including of the workplace! I put such a wish. It is Mali of "marriage" one more. The meaning of marriage such as marriage or the close combination have a meaning. I put the meanings such as "matchmaking" for the meaning and chose these words. 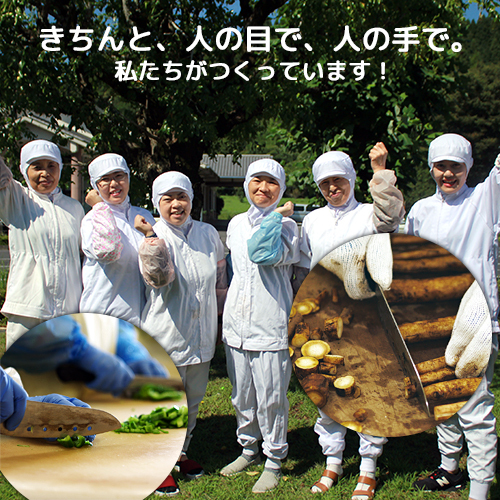 I want to connect the farmer who is making vegetables with this product with the person who needs it！ I put such a wish. The edge of many people be linked triggered by this product. Careful ■ Direct rays of the sun, the high temperature and humid place avoids it, and please save it in a cool and dark space. ■ For quality maintenance, deoxidation material enters. You remove it after opening, and please use it.